Our beautiful star cloths are perfect for dressing walls, band backdrops or event partitioning rooms. 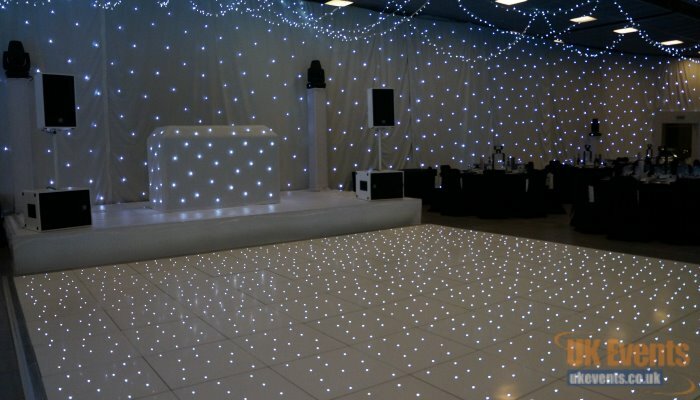 We supply star cloths in white and black finishes and typically the cloths measure 6m x 3m. We can star cloth single walls right through to entire rooms of any size. For larger functions we can also provide doorways and fire exits for asafe, clean and professional look. 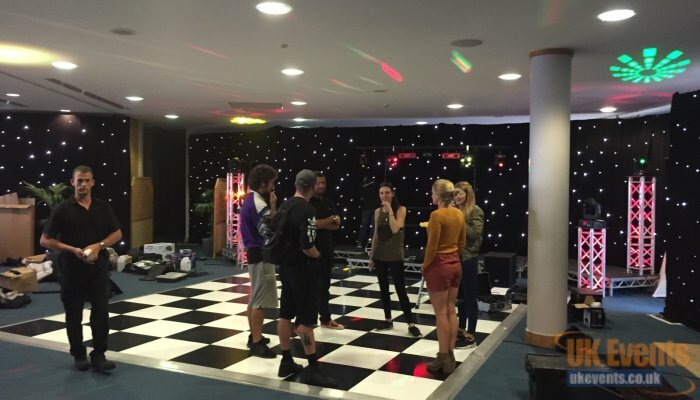 Our Star Cloths are hung from telescopic pipe and drape systems allowing the cloth to sit up against the wall increasing the usable space of your function room.We offer alternative lengths for higher function rooms or marquees. Transform your walls with our stunning white star cloth backdrop system. 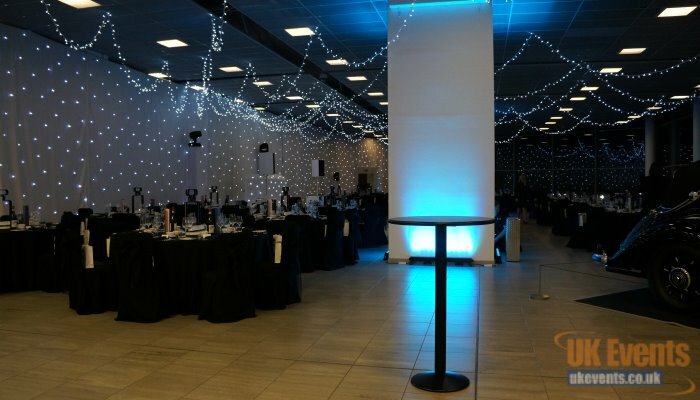 Add some sparkle to your party with our LED black star cloth drapes. Our starcloths are available to hirethroughout the UK including Acton, Alcester, Alton, Ascot, Ashbourne, Ashby-de-la-Zouch, Ashford, Aylesbury, Bagshot, Basildon, Banbury, Basingstoke, Bath, Beaconsfield, Bedford, Bicester, Birmingham, Blackburn, Blackfriars, Bloomsbury, Bolton, Borehamwood, Bognor Regis, Bracknell, Bradford, Braintree, Bridgewater, Bridgenorth, Brierley Hill, Brighton, Bristol, Broadway, Bromsgrove, Bury, Burnham, Bury St Edmunds, Buxton, Camberley, Cambridge, Canterbury, Castle Donington, Chatham, Cheadle, Chelsea, Cheltenham, Cheshunt, Chester, Chichester, Chipping Campden, Chippen Norton, Chiswick, Cirencester, City of London, Clapham, Coalville, Coleshill, Corby, Cotswold, Coventry, Crawley, Crewe, Croydon, Dartford, Daventry, Derby, Docklands, Droitwich Spa, Dudley, Dumbleton, Dunstable, Duxford, Ealing, Earls Court, East Grinstead, Ellesmere Port, Enfield, Epping, Evesham, Farnborough, Farnham, Finchley, Fleet, Fulham, Gatwick, Gerrards Cross, Gillingham, Gloucester, Greenwich, Guildford, Halifax, Harlow, Harpenden, Harrogate, Harrow, Heathrow, Hemel Hempstead, Henley on Thames, Hereford, High Wycombe, Hinkley, Hitchin, Holborn, Hook, Horley, Horsham, Hounslow, Hull, Islington, Kempsey, Kenilworth, Kettering, Kew, Kidderminster, Kingston upon Thames, Knutsford, Lambeth, Leamington Spa, Leatherhead, Ledbury, Leeds, Leighton Buzzard, Lichfield, Liverpool, London, Greater London, East London, West London, North London, South London, Loughborough, Ludlow, Luton, Macclesfield, Maidenhead, Malvern, Manchester, Market Drayton, Market Harborough, Marlow, Milton Keynes, Moreton-in-marsh, Newbury, Nottingham, Northampton, Newport, Nuneaton, Oxford, Reading, Redditch, Redhill, Richmond, Rugby, Salford, Sandbach, Sheffield, Shifnal, Solihull, St Albans, Stafford, Stanstead, Stoke on Trent, Stratford-upon-Avon, Stroud, Sutton Coldfield, Swindon, Tamworth, Telford, Tetbury, Tunbridge Wells, Ware, Warwick, Welwyn Garden City, Wembley, West Bromwich, Wilmslow, Wimbledon, Windsor, Woking, Wokingham, Wolverhampton, Worcester.